Congratulations goes to Mark Ward from Barton on passing his driving test. Mark passed Friday 25th May in the heavy rain with just 4 driving faults. 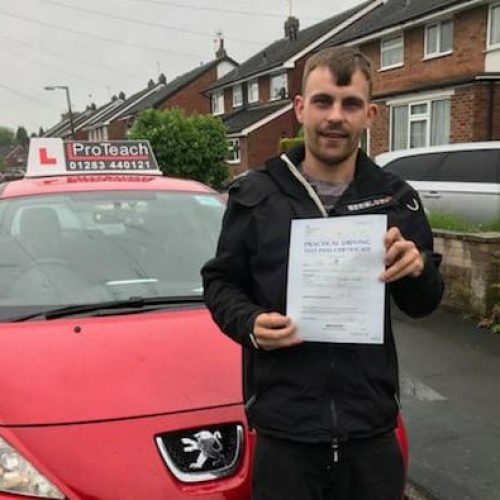 Well done again from Simon and all the team at ProTeach Driving School.